And just like that it is game time once again inside Kauffman Stadium as the New York Yankees travel to face off against the Kansas City Royals in the second of a three-game set. 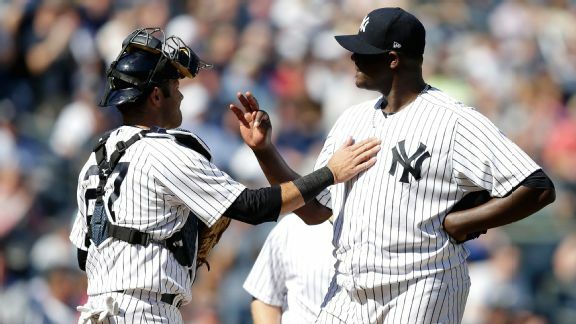 The Yankees will send Michael Pineda to the mound to square off against Jason Vargas for the Royals. The game will be played at 8:10 pm ET inside Kauffman Stadium and can be seen on the YES Network and MLB TV. You can also follow along on the radio and in your cars with WFAN. Give us a follow on Twitter by giving @GreedyStripes a follow. Enjoy the game and as always, Go Yankees!